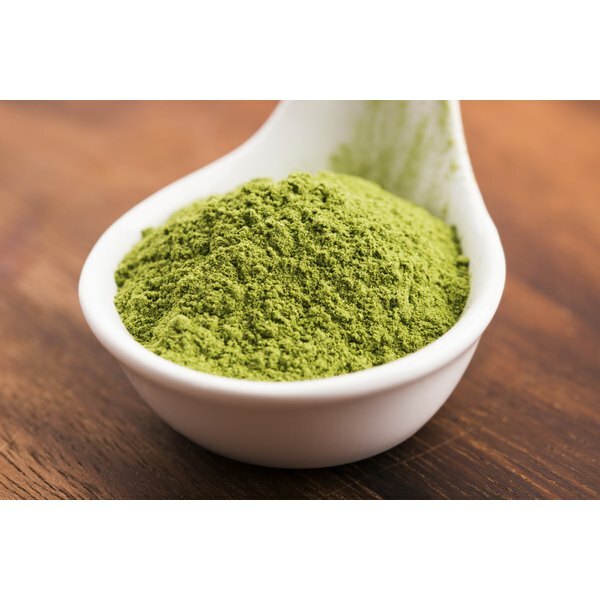 Chlorella is a nutritious, blue-green alga that is purported to boost your health. Yeayama Chlorella is produced in a controlled environment on Ishigaki Island in Japan by Yaeyama Shokusan Co., Ltd. This company’s product is certified kosher. Chlorella has numerous proven and theoretical benefits; however, consult a doctor before trying it. The nutritional value of Chlorella is high. Yeayama Chlorella is packed with nutrients such as antioxidant vitamins A, C and E. It also has beta-carotene, B vitamins, calcium, phosphorus, selenium, magnesium, iron, zinc and lutein. It also contains a significant amount of vitamin K, so it may interfere with anticoagulants such as warfarin. Consult a doctor before using it if you take blood-thinning or other medicines. This single-celled micro alga has a high protein content. In fact, when dried, it’s about 50 percent protein, notes Dhyana Bewicke and Beverly A. Potter, authors of “Chlorella: The Emerald Food.” This protein is easy to digest and supplies all essential amino acids. Chlorella also provides healthful polyunsaturated fatty acids. About 20 percent of these are omega-3 fatty acids. Chlorella has extremely high chlorophyll content. Chlorophyll is advocated as a way to alkalize your body, which in turn helps reduce inflammation. Chlorophyll also is an aid for oxygenating your blood, which theoretically makes it a sports-performance enhancer, notes Ironman triathlete Brendan Brazier in the book, “Thrive Fitness.” Too much chlorophyll can cause side effects, however, such as loose stools and stomach cramps. Chlorella may provide anti-inflammatory action, because it appears to suppress histamine release in your body, according to a 2002 study published in the “Journal of Medicinal Food.” This study was performed in a lab, however, so more study is needed to see if people will experience this benefit. A growing body of scientific evidence also indicates that Chlorella may boost the immune system in cases of infection by increasing release of immune cells that fight pathogens; but this is based on animal studies, so more research is needed to see if people may enjoy the same benefits, reports “Better Nutrition” magazine. Chlorella also has a theoretical benefit as an immunostimulant, meaning it strengthens your immune system before an infection occurs and helps your body ward off pathogens. However, scientific evidence is insufficient to rate effectiveness for this purpose. Chlorella is touted for numerous other benefits. However, scientific evidence is lacking to prove any of them, according to MedlinePlus. These include improving weight-loss efforts, reducing mouth sores if you chew tobacco, helping to alleviate premenstrual syndrome, combating fatigue and depression, improving memory, boosting digestion, promoting wound healing, helping to lower high cholesterol and reducing risk for heart disease. A 2011 study published in “Experimental and Toxicologic Pathology” also indicates chlorella may help protect your liver, be useful for treating liver disorders and help fight effects of oxidative stress-related diseases. This study was performed on mice, so more research is needed. How Long Before the Results from Sun Chlorella Show?